The selection of air drills and air screwdrivers we have here at SGS Engineering are second to none. We specialise in providing the best in air drill tools for our customers and will have something to suit every need, from a compressed air drill to air screwdrivers. Browse our excellent selection of air drills and air screwdrivers online and order from us today. Our air drills and air screwdrivers can be easily applied to our range of air compressors and we also supply all the necessary couplers and adaptors to accompany them. 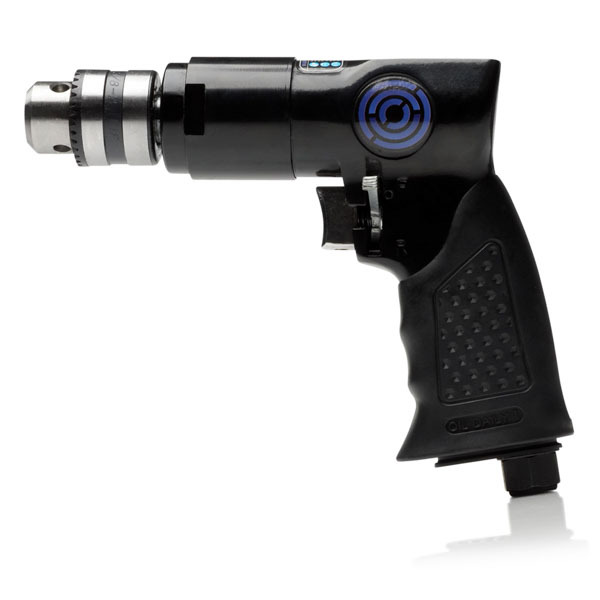 Our air tools are expertly designed to provide high quality air-fed delivery and performance for whatever drilling or screwdriving applications you may have. Lightweight and easy to grip, they are fantastically versatile and are perfect to help any tradesperson complete a job efficiently, or for simply completing your DIY projects at home. The Keyless Reversible Air Drills in particular can offer you even more choice with the keyless chuck for the quick changing of drill-bits. Whatever your preference though, you can rest assured that within our superb range of air drills and air screwdrivers, we have a model to suit you. To ensure you buy the right air drill for your needs, be it an air powered drill or air screwdriver, our friendly and expert staff are on hand to assist you with your purchase. If you need any advice or further information about a particular air drill or any of our air screwdrivers, from different capacities to air consumption levels, simply get in touch and we will be happy to help. Air tools are great for a wide range of work tasks, such as: drilling, hammering, sanding, grinding, cutting, nailing, stapling, wrenching and more. We've put together a few how-to guides and some safety information to get you started with your air tools.